The choice of an OB or a midwife is one of the biggest decisions you face after discovering you are pregnant. Here’s how to choose the best option for you. Your first step in making a decision is to understand the difference between an obstetrician and a midwife. Typically, an obstetrician has completed medical school, and passed exams and observations in order to earn their license. Midwives, however, can vary somewhat regarding their qualifications. For instance, a certified nurse-midwife typically has earned a degree in nursing, and they may be employed by a hospital or doctor’s office. On the other hand, lay midwives lack formal training but gain experience through working with a mentor before they practice alone. In the past, obstetricians were often viewed as more clinical than midwives. However, an OB will often take the time to find out how you are handling your pregnancy emotionally, and they can help you work through issues such as being afraid of labor. Midwives have long been known for their ability to provide emotional support, but you may need to let them know the right amount of help that you prefer. Either way, you need to use good communication with your choice of a care provider. Be sure to voice your questions and opinions as you move through your pregnancy and delivery. Midwives are best for low-risk pregnancies that follow the expected path. While they can work with hospitals, you may be better off with an obstetrician if you experience a high-risk pregnancy that threatens you or your unborn baby’s health. This is because your obstetrician is authorized to perform procedures such as emergency deliveries, and having someone that you already know handling a crisis situation gives you the best prognosis. You should always make sure that the person you choose respects and is willing to follow your birth plan as much as possible. 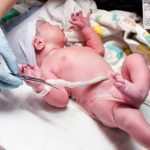 While an obstetrician may be supportive of people doing a home birth, they may recommend that you have your baby in a hospital. So that they can monitor your health while giving you similar types of support such as encouraging you to use natural forms of pain relief during your labor. Be sure to discuss each aspect of your birth plan with your preferred provider to make sure that their viewpoint aligns with yours. Keep in mind, however, that you may need to listen to their professional opinion. Both obstetricians and midwives may suggest doing something different in your plan if they know that it is in your best interests. Your health insurance plan could also play a role in your decision. Most plans today do cover the cost of midwives, but your policy may stipulate the level of training that the midwife must have to be listed as a care provider. The majority of obstetricians take insurance, but you may need to decide whether or not you prefer to stay with an in-network provider or pay more to have someone who is not covered under your plan. Over the next nine months, you will work closely with the person that you choose to help you bring your baby into the world. Now that you understand the differences between your options, you can begin the process of meeting with your preferred care provider to make sure that they are the perfect person to guide you through your initial entrance into parenthood.